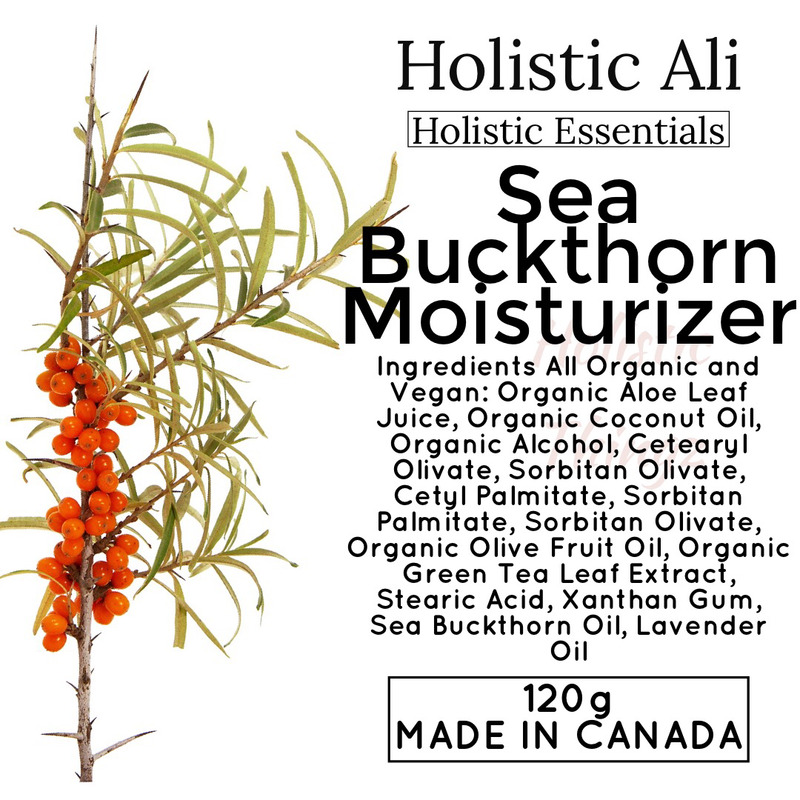 Sea Buckthorn Clarifying Moisturizer With Organic Aloe, Coconut Oil, Organic Green Tea and more, your body-burden conscience self will love this worry-free formula that has been carefully crafted with a cutting edge emulsifying system (Cetearyl Olivate, Sorbitan Olivate, Cetyl Palmitate and Palm Stearic Acid), and organic preservation system, that meets even the strict Whole Foods Premium Body Care Quality Standards, as well as being rated as safe across all database, the CIR panel and are approved for use in products certified by the Natural Products Association (NPA) and NSF that are made with the "organic" standard. So, now that you can relax about all that, feel free to enjoy the AMAZING results of this lovely lotion! It absorbs quickly into the skin, helping to relieve even the driest skin, leaving it smooth and supple without any greasy residue.